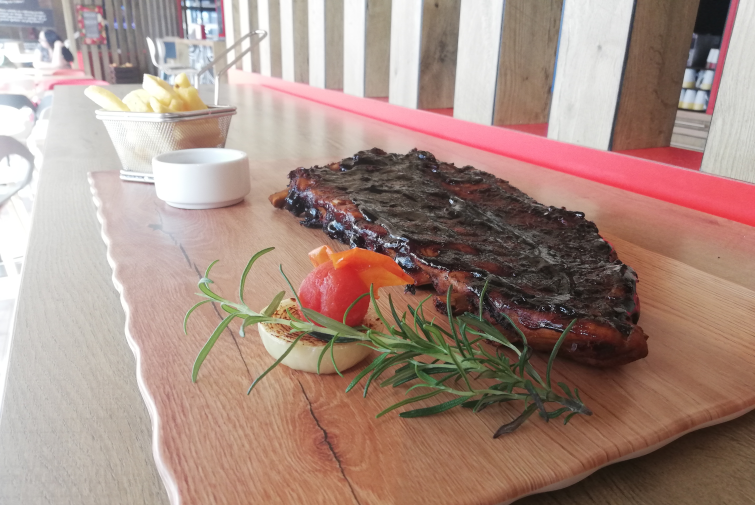 Chef of Ibis Gdansk Stare Miasto Hotel presents recipe for pork ribs in plum BBQ sauce. Remove the membrane from the back of the ribs. Combine all the marinade ingredients and use it to marinate the meat. Wrap the ribs tightly in plastic film, and leave in the fridge for two days. Take them from the fridge, heat them in a pan and simmer, or put them in a steam oven (for 2 hours 45 minutes). Cooking time is the same. Once the meat is soft, spread the plum BBQ sauce over the ribs, put them in the oven (preheated to 125 degrees) and roast for 25 mins. Before the ribs finish roasting, add some plum wood shavings, light them, then turn down the flame of the oven and smoke the ribs for about 15 mins.